This particular sign is double sided with "Reception" on the back side. The Flags below are hand made and strung on jute and can be ordered in your color scheme at and additional cost. 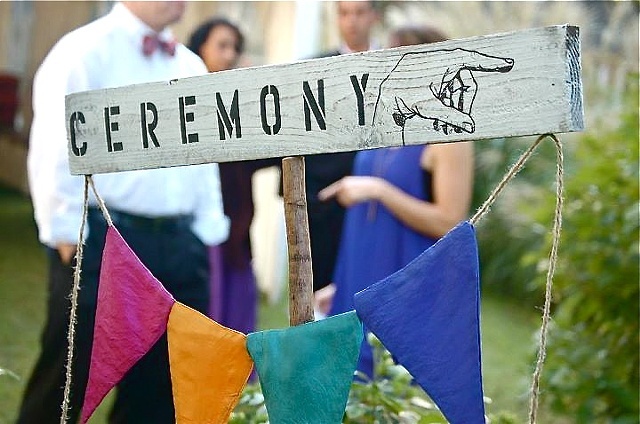 A one sided sign with stenciled word of your choice: i.e Ceremony, Reception, Wedding. We are happy to do custom signs, in any size, paint color etc, please email us your specifications and we will send you a price quote.